As one professional metal and plastic CNC Machining services manufacturer. 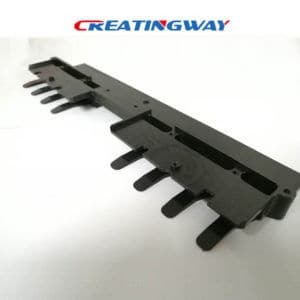 Creatingway not only can machining precision metal parts, but also complete different materials plastic parts CNC machining. 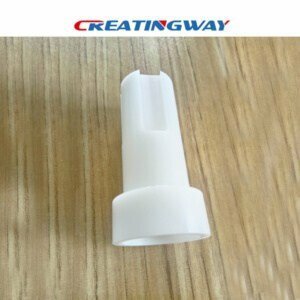 Before we provide PEEK, POM, Plexiglass parts cnc machining from Creatingway. Today, we will main introduce another plastic material parts: Nylon parts CNC machining. Polyamide is called as Nylon, also be called for short PA. In present, the most common of PA materials have: PA6, PA66, PAII, PAI2, PA46, PA610, PA612 and PAI010 etc. The main two types PA6 and PA66 was widely used to many of industries like automotive, application etc. How to the Nylon Parts CNC Machining? As usual, almost of all plastic parts is pretty much the same on CNC machining. We will use CNC milling& turning or lathe to machining Nylon parts based on different geometry shape of dimension of the parts. What’s the characters for Nylon Parts CNC Machining? Light weight, good anti-wrinkle, good air permeability and good durability, dyeing and heat setting. Therefore, it is considered to be one of the very promising materials. Especially now, CNC machining Nylon parts have been widely used in different industries. Even it is a kind of good & important plastic engineering material instead of steel, iron and other metal materials. Based on PA material has non-toxic, light weight, excellent mechanical strength, wear resistance and good corrosion resistance characteristics. Therefore PA parts are widely used in instead of metals: such as replace the copper to manufacture some bearing, gears, pumps and other parts in mechanical, chemical, instrumentation, automotive and other industries. PA is easy to be melted spinning which has high strength, mainly synthetic fiber and can be used as medical suture, Usually, we have CNC machining and Plastic injection mold two process to make them. PA is used to make cord, industrial cloth, cable, conveyor belt, tent net, etc. Meanwhile, it is also mainly used for parachute and other military fabrics on defense. Of course, PA material also was used to injection mold field, this is very good engineering materials for many of industries from aerospace, automotive, electronic application, cusomer products etc.